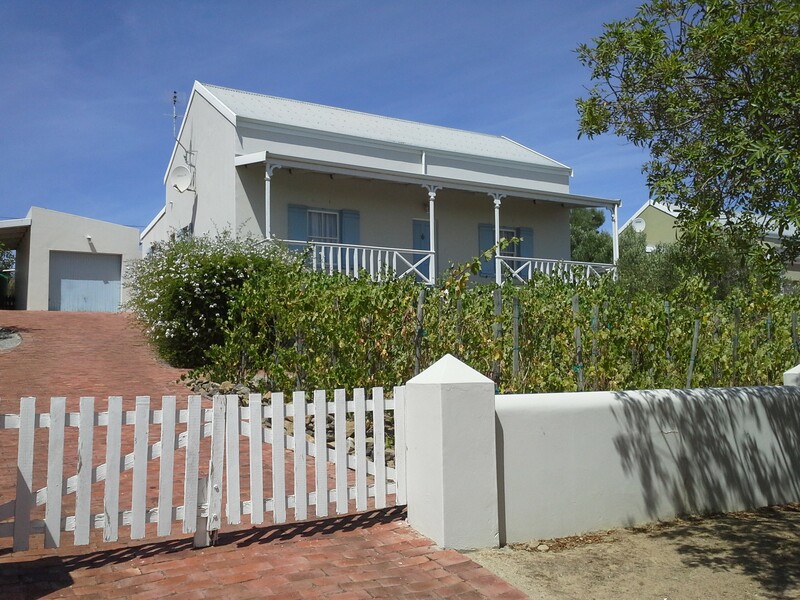 This beautiful cottage is set in an elevated position; a small vineyard to the front gives one the sense of being in the Winelands while the almond trees and olive grove add to that Country feel. The front stoep provides the perfect place for sundowners with a view as far as the eye can see… Vineyard Cottage offers 2 bedrooms 2 bathrooms (main en suite). 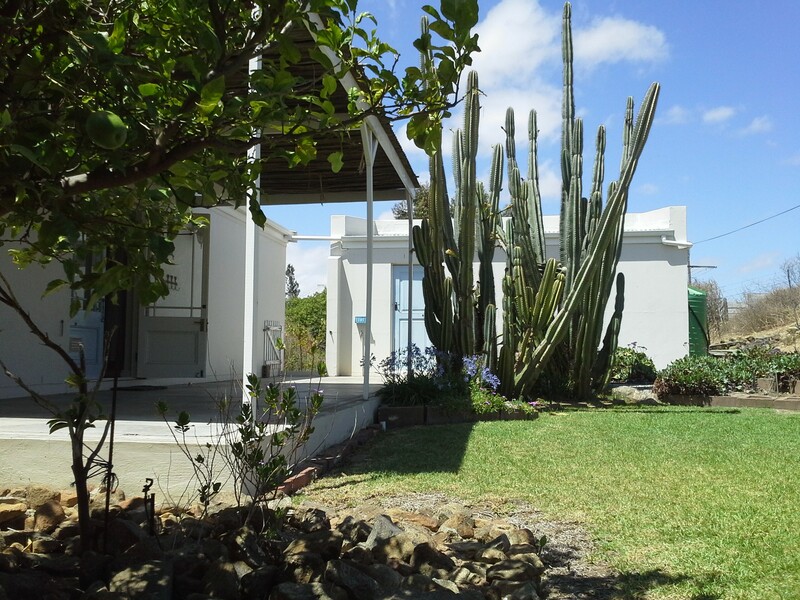 The main bedroom has a super comfortable Queen Size bed and en-suite bathroom comprising shower, toilet and basin. 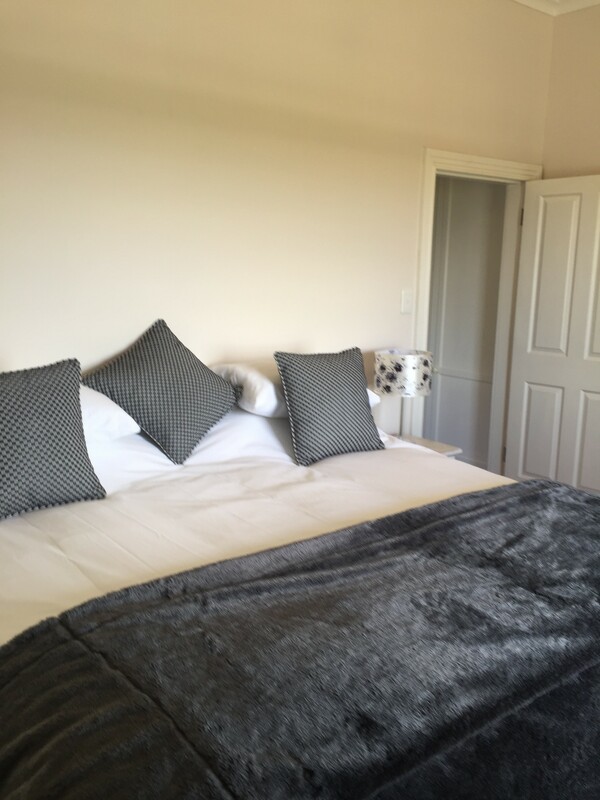 The second bedroom has two single beds which can be joined and made up as a King. This bedroom boasts a window to the front of the cottage, sit up in bed and watch the sun rise across the horizon – what a treat! Both bedrooms have an overhead fan for those warm nights and cozy blankets for the winter. There is ample wardrobe space and a hairdryer. White percale linen and thick towels add comfort to your stay. Second bathroom has a bath with mobile shower head, toilet and basin. 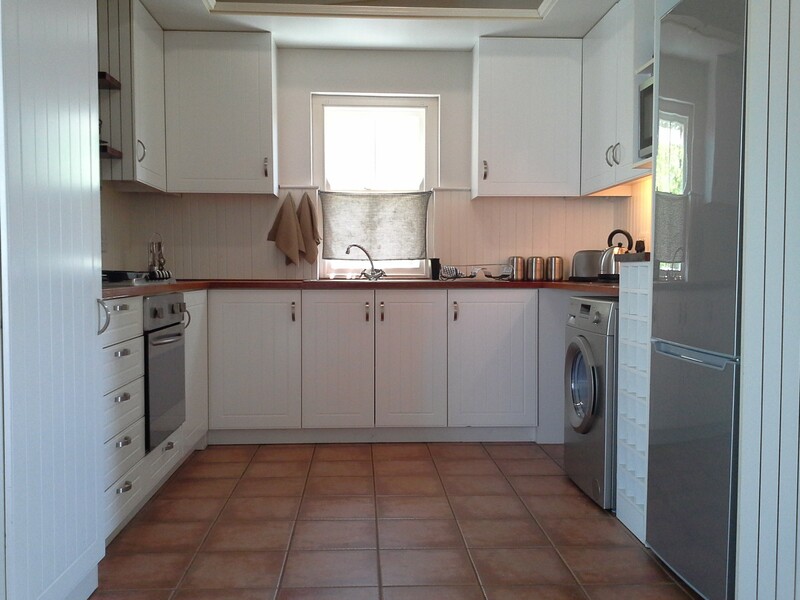 Fully equipped kitchen with gas hob, oven, microwave, fridge freezer and washing machine. Top quality appliances, crockery and cutlery. Living area is open plan with a dining room table and chairs to seat six; the lounge boasts an over stuffed settee and two comfortable bucket chairs, TV and Hi-Fi. Perfect for relaxing with a book, listening to music or watching the afternoon matinee. There is a small selection of DVD’s for your viewing. For those cold evenings there is a wood burner in the open plan living area. 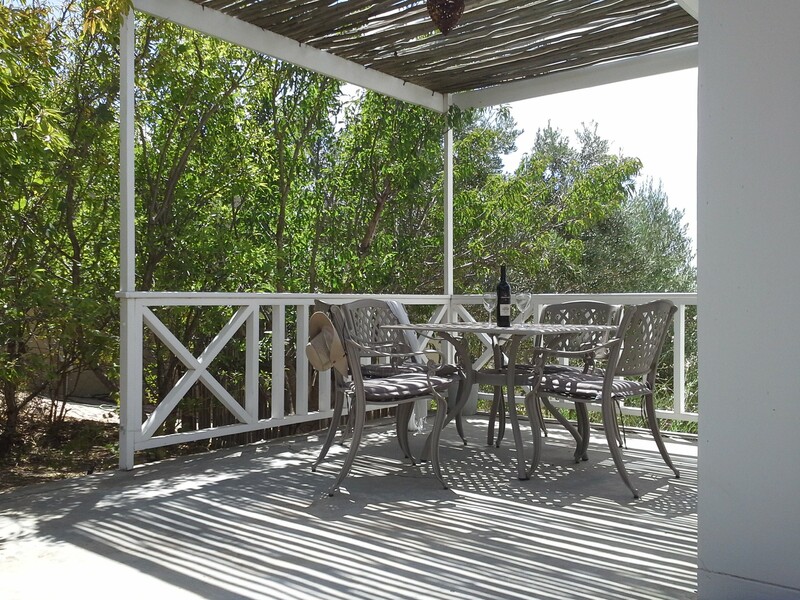 To the side of Vineyard Cottage nestled under the almond trees is an enclosed patio complete with table and chairs for outdoors entertainment. 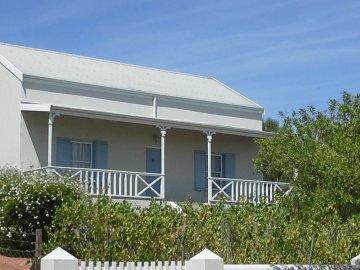 There is a single carport and parking for a further two vehicles in the driveway, the Cottage is fitted with an alarm system. 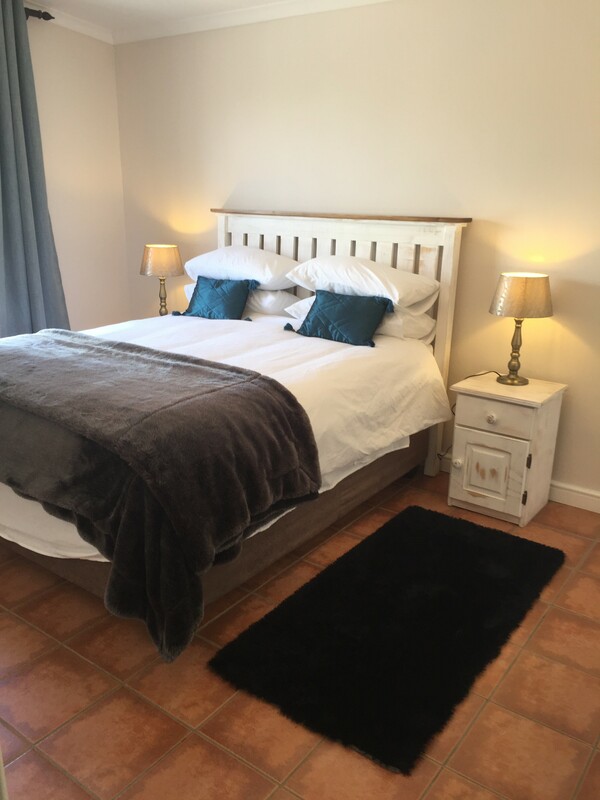 Vineyard Cottage is within easy walking distance of local shops, restaurants and art galleries making this beautifully appointed Cottage a good base for exploring the West Coast or to just simply “get away from it all” Pets are welcome by arrangement.